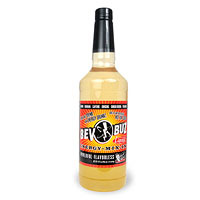 This flavorless liquid mix-in will make your juice sodas pop smoothies or cocktails an energized beverage. Price Discount: Order 4 bottles. Saving shown in cart. Gosh That’s Good! Brand™ - Make any drink an energy drink! This flavorless liquid mix-in will make your juice sodas pop smoothies or cocktails an energized beverage. 64 servings per bottle! Bars love it as a cost effective replacement that makes a better drink than ready made. No more watered down cocktails with limited flavor options. Self measuring pour spouts are available on this site to help with your portions.